A complete vacuum drying system designed for temperature sensitive, high-thru-put for vacuum purging large production quantities. 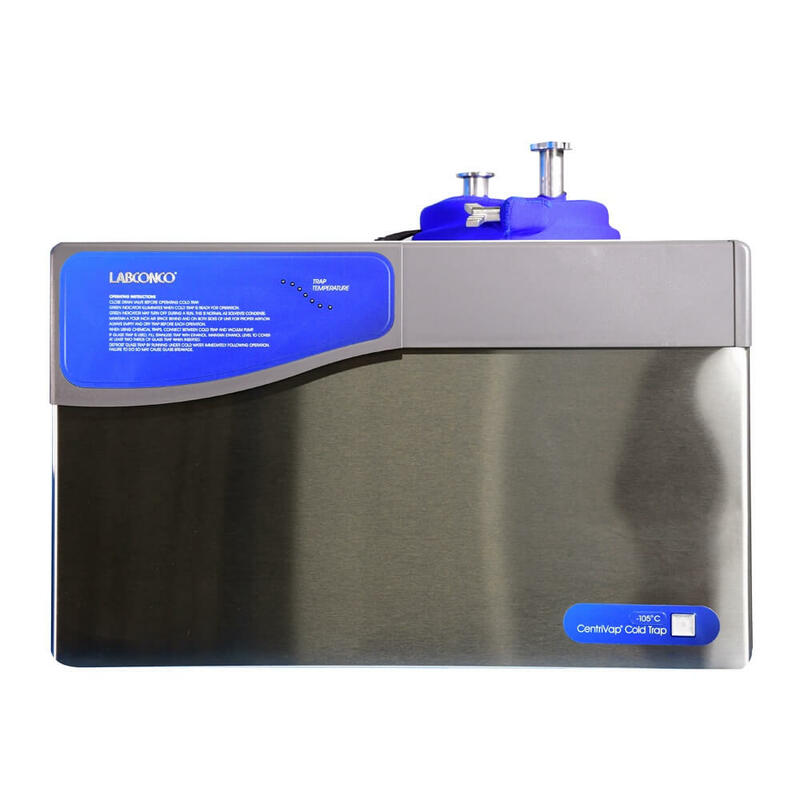 Cascade’s MAXTRAP50, -50C cold trap is integrated to keep the Agilent IDP15 vacuum pump operating with minimum downtime and maximum efficiency. 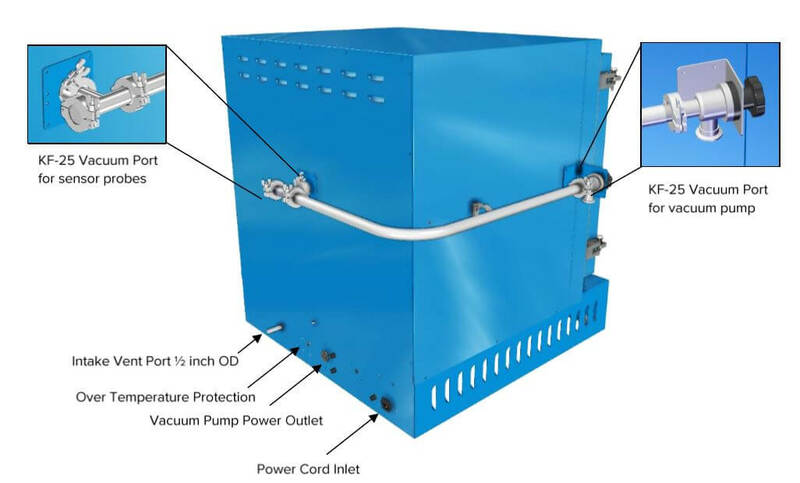 Vacuum oven and pump are connected via our MAX EVAP connection kit – giving water, solvents, any outgassing material the largest exit path off the product and out of the oven. The entire system is set on an industrial grade mobile racks for easy of mobility and to help keep the lab clean. NRTL Certified. CVO-10 oven and cold trap are Made in USA. Cascade’s Model CVO-10 offers incredible temperature stability for vacuum drying and purging of pharmaceuticals, botanicals, slurries – especially temperature sensitive material. 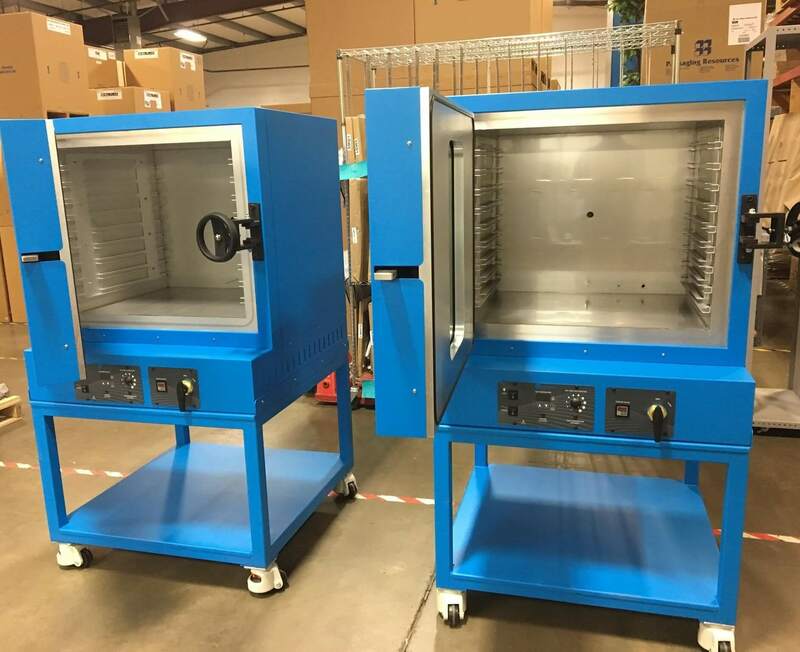 This vacuum oven will liberate solvents, water or other unwanted compounds in large batch production environments. The MAXTRAP50 cold trap will keep the vacuum pump running optimal and allow for capture of outgassed material in the steel trap. The CVO-10 PRO with MAXTRAP50 comes in both low temp & high temp versions. Maintenance is the replacement of a single interior tip seal. Order our IDP15 Tip Seal Replacement Kit or ask us about our maintenance service. Pull Deeper Vacuum / Better Vapor Tolerance With Gas Ballast Positions.The IDP15 has two gas ballast ports that assist the pump in handling condensing gases such as water vapor, or other gaseous products that become liquids or solvents when reaching atmospheric pressure. Free Shipping Note: When ordering online, shipping is free! The CVO-10 PRO Package is shipped as heavy freight. Delivery to residences or no-forklift locations can add up to $120 for liftgate services. At time of order, Cascade will contact you to arrange your specific delivery requirements. Note: this oven will not fit through a standard 36″ doorway.